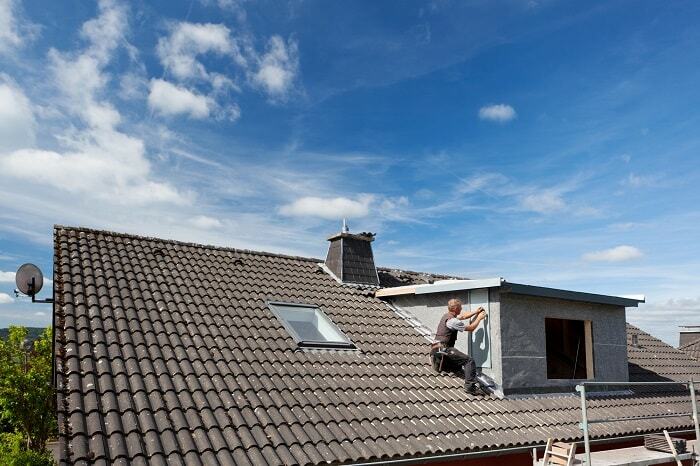 Are you stuck with a roof that leaks all the time? Is it at the point of failing entirely? Then you need the most reliable roofers Bournemouth has seen. 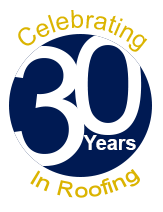 Our 30 plus years of experience in the industry makes us the number one choice for both home and commercial property owners. From a slipped tile to a hole left by a falling tree, all work will be carried out to the highest standards by our multi-skilled and fully insured team. There is nothing more important to any homeowner than having four sturdy walls and a roof that keeps out the damp and cold. If properly maintained, a roof can provide many years of reliable service. When left to deteriorate, however, problems can soon begin to surface such as unwanted damp, cold spots and escalating energy bills. If this sounds familiar, call ProRoofing now for the best roofers Bournemouth has seen. What can our Bournemouth roofers do for you? From patching up your existing roof to measuring up for a new one, every service begins with a FREE consultation and quotation. As part of our survey, we will aim to carefully assess your needs so that we can tailor our services to suit your particular needs and budget. For instance, if your roof has been damaged, our roofers in Bournemouth will be able to provide you with a fully itemised quotation for any work that may be required. Our roofers Bournemouth experts provide a one-stop-shop service for all residential, commercial and industrial properties. We also believe in complete transparency, so if your roof requires regular work, we’ll suggest having a new roof fitted to save you money. All work is carried out by our roofing experts, each one possessing the specialist skills necessary to ensure that your roof is both hard-wearing and reliable. We are also able to install a wide range of roofing options including flat, pitched, felt and tiles. Our expertise even extends to fitting Velux roof windows and uPVC fascias and soffits too. So, if you’re in need of a new roof or would like an expert opinion on your roof repairs, call the finest roofers Bournemouth has to offer now on 01202 518763. How can my rooftop become damaged? Many factors can lead to a roof becoming unfit-for-purpose. For instance, a roof will, for the duration of its life cycle, be subjected to frequent storms and up-lift forces created by high winds. These up-lift forces along with varying air pressure can have a detrimental impact on the integrity of the roof. To counter this issue, our roofers Bournemouth will ensure that the perimeter, roofing and insulation are securely fastened to the roof deck. It’s also worth bearing in mind that issues can occur even with a newly fitted roof. This could be due to poor design or as a result of shoddy installation work. Even a roof that has been correctly designed and installed can deteriorate over time as a result of general wear and tear. Whatever the reason, only the professional team at ProRoofing can provide you with solutions that are both effective and competitive. If you’re asking yourself ‘why should I choose ProRoofing?’ the answer is simple. With over 30 years of experience, our roofers in Bournemouth know everything there is to know about roofing so you can be confident in our ability to exceed your expectations. You’ll be in safe hands when you call as a member of our highly trained team will be on hand to assist you in all regards related to roofing. As the most trusted roofers Bournemouth has experienced, our team are all fully DBS checked. They are also up-to-speed with the latest health and safety regulations. At ProRoofing, we are committed to completing all projects to the highest standards. You can expect reliable, first-class customer service as well as exceptional workmanship with all work guaranteed for a minimum of 10 years. Furthermore, our Bournemouth roofers will always pay you and your property with the utmost respect. Once any work has been completed, we will endeavour to leave your premises exactly as we found it. If you’re looking for competitively priced roofers Bournemouth customers can trust, look no further than ProRoofing. Call us now on 01202 518763 for your FREE quotation and consultation.